What’s the role of blockchain in transportation? We are proud to announce that we have joined Blockchain In Transport Alliance (BITA) the world’s premiere industry group focused on driving standards and adoption of blockchain. According to a recent Forbes Insights survey of more than 400 senior transportation-focused executives, 65% believe the logistics, supply chain and transportation sector is experiencing nothing short of a tectonic shift. Though there are several drivers behind this shift, one of the most powerful is the advancement of behind-the-scenes technologies like artificial intelligence (AI), machine learning (ML) and increasingly, blockchain. 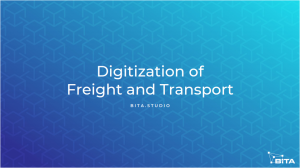 Here to present an insider’s look at the potentially transformative influence of blockchain is Craig Fuller, managing director of The Blockchain in Transport Alliance (BiTA) and CEO of FreightWaves, a longstanding industry publisher. To provide our readers with some context, what is The Blockchain in Transport Alliance (BiTA)? We’re an industry association focusing on the use of blockchain to drive efficiency throughout the whole of transportation, logistics and supply chain. Blockchain is a technology that’s ideally suited to the transportation industry and one we believe—insist really—will prove transformational in its impact. Fundamentally, it’s a technology that allows people/companies who often don’t really know or trust one another naturally to engage in commerce. Think about any shipment: From point A to point B, you have multiple parties touching the freight and needing to see what they need to see. And yet there are thousands of shippers and carriers—land, sea, rail and air—as well as freight brokers/forwarders, 3PLs, insurance providers, customs agents and customers of all kinds. So there are many participants who often know little about one another, and yet they have business to conduct, ranging from small, low-value shipments to larger, or very large and very high value shipments. But there’s no standardization. There is no means of sharing data in a trusted manner across this network of participants. What blockchain introduces, fundamentally, is greater trust across the ecosystem. With blockchain, participants have everything they need to know about their shipments and transactions in one place, and they know the information is reliable because of the security of the distributed ledgers. In terms of the challenges and the needs of the transportation industry, blockchain can become a transformative tool. Can you outline some use cases? There are so many it’s hard to know where to start. Perhaps one of the simplest and clearest is the way blockchain can be used to introduce greater visibility across the value chain. There are all sorts of technologies, like RFID or IoT/telematics, that can capture location, condition and similar data. But today much of that data is isolated in silos. 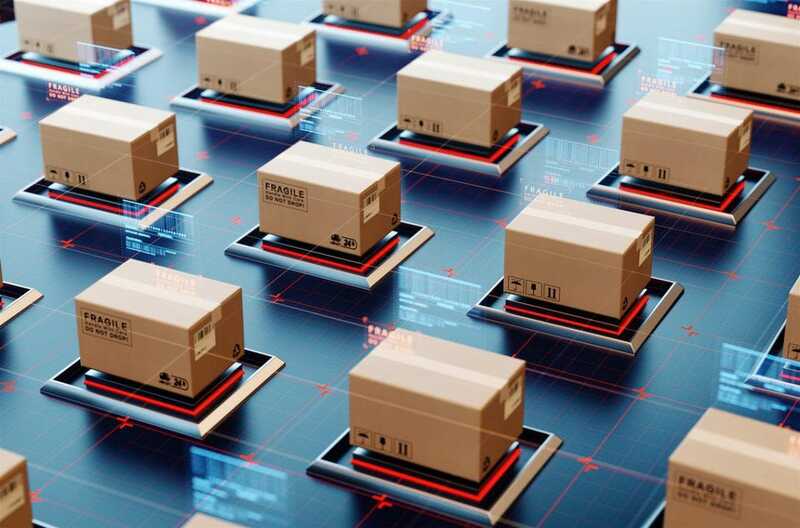 With blockchain, we can create a platform where all participants can gain greater insight—instantaneous tracking—of any shipment right down to its SKU level. So with blockchain, you create unbroken provenance. Some call it “bread-crumbing,” but what it means is you will be able to see any handoffs that have taken place, or even the condition of the goods at any time, and where they were warehoused or transported during what period. And if I know everyone who has touched the shipment, I have a sense of whether it’s been tampered with or some part of it has been switched. I also know about quality control; for example, whether the goods have been maintained at the proper temperature, which is vital for many food products. Another important example is around payment. With blockchain, you can embed smart contracts. These are essentially routines that automate payments based on what’s happening with the shipment. So the parties agree to the contract and embed the terms within blockchain and when the conditions are met—for example, a carrier drops a shipment at a given warehouse—both parties have evidence [of specific performance] and the smart contract initiates the payment automatically. Think about it. Transportation is a massive segment of the global economy—as much as 12% of cash flows—and there are so many parties involved: shippers, carriers, customs and the companies that provide fuel for trucks, planes, trains, etc. There are so many transactions associated with any shipment. Now think about having to wait 60 to 90 days for payment across each and every segment from each and every participant involved. What if, instead, we use blockchain and smart contracts to speed up payments? That introduces trust and automation, speeding verification and eliminating an enormous drag; there’s so much payment float in the global economy. Where are we in the development and realization of such capabilities? Let me first emphasize that this is no small task. We’re working across an incredibly fragmented landscape where very few standards apply. And yet to implement blockchain in any meaningful manner requires a very high degree of standardization across all parties in these transportation processes. So when you’re developing commercial standards for whatever application we’d like to see, progress will be slow. But one of our missions is education, and in that sense, we’ve come a long way. Two years ago, I might have gone to a conference and been in a room of 100 people where maybe only one or two were knowledgeable about blockchain. Today, in that same room, there might be 10 who are full-on enthusiasts plus another third who can articulate use cases. And the figures are growing exponentially. So, where we are: We’re now well along in our efforts to engage the various participants to build a sound foundation; to lay the groundwork. So we’re now in a position where people will be able to see real benefits. We’re on the verge of some major breakthroughs that will prove, I believe, transformative. What else do you see on the horizon? It pays to focus on specific challenges and applications, so along these lines, we have a number of task forces. For example, there’s discussion around insurance and the desire to expedite loss verification. Also note, when insurers don’t know much about the carrier or when they can’t accurately verify provenance, that increases the cost of insurance—and blockchain can help to address this. We are also looking at applications that could enable pay-as-you-go instead of outright purchase. So telematics would link to blockchain ledgers, enabling users to pay on a per-mile basis. And if that’s not enough, we’re also looking at developing a futures market in transportation—a means of creating greater certainty in shipping costs. We have a lot going on, and we see a lot of potential.